David Cameron’s victory in the UK election presents me with a personal problem: he promises to hold an in-or-out of the EU referendum. 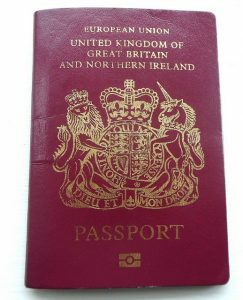 If the UK leaves the EU I have a major headache – I live in Germany and I need freedom of movement within the EU more than I need anything else that a British passport currently confers me. What movement rights Brits would still have if the UK left cannot yet be known, but for sure it will not become easier. I will qualify for a German passport in 2019 – I will apply for that passport the very first day I am eligible for it. By my reckoning if Britain’s referendum is in 2017 then it will take 2 years to negotiate exit, so by 2019 I should be OK. Beyond that very personal issue that the referendum poses for me, I am more interested about the impact the UK vote has on the rest of the EU than the impact it has on the UK. My fear is that the EU institutions go so far to try to entice the UK to stay that it means that some of the remaining good things about the European Union – freedom of movement, and environmental and social protection for example – are called into question as an adequate price for keeping the UK inside. The current deregulation sorry, better regulation, agenda from the Juncker Commission is in danger of being accelerated. A more authoritarian approach to security and surveillance issues is another danger. Making a kind of progressive case for the EU in the UK has always been damned hard, and is now probably harder still. The pro-EU case has always been a stodgy one along the lines of it’s good for British business, and hence British GDP, to be in the EU. The cases made by Ken Clarke, Nick Clegg or Chuka Umunna are more or less indistinguishable. With Labour in a period of introspection after its election defeat, and – with the notable exception of Frances O’Grady – there being no sensible pro-EU voices on the left, I see no role for me in campaigning activity whatsoever. I do not even know how I would vote in an eventual referendum. The UK leaving would of course be a danger for the rest of the EU, but it could also be an opportunity, and force the unity of the rest of the EU, and actually let the EU’s most reluctant member pursue its own (foolish) path instead. I do not agree with many British pro-EU folks that it is a universally good thing for the EU itself for the UK to stay in; that would, to a certain extent, depend on what Cameron renegotiates or not (details on that in my more serious post). I will of course continue to write about the referendum, and what is happening in the campaigns, but I see no personal role there in any way. Berlin is home, and I have plenty of political work to do here with the Grüne with the Abgeordnetenhauswahl taking place next year. @french derek: Exiting the EU draws an immediate line under further integration and changes the destination, rather than the speed of travel towards a predestined end point. We cannot take the head bangers preferred choice of immediate exit as the path to follow, it is not the way to archive a cost free exit from a project that is going in a direction we no longer want. The idea of the Norway option is not to return all powers at a single stroke but to form part of a stage managed withdrawal from the political project that is cost and disturbance neutral. We would still accept the four freedoms of the EU including freedom of movement, hence expats will not be affected. Just as membership of the EEA and EFTA is a doorway into the EU it can equally be used as a doorway out of the EU. Sovereignty is about choice, Norway chooses to participate in several EU projects, the point is Norway chooses and is not forced by treaty obligations. Somewhere I have total amount of laws that apply to Norway and those that apply in the UK. Of the top of my head I think it was something 6 thousand in Norway and 21 thousand in the UK. Your talk of “70 of a total of 800 Norwegian statutes and approximately 1,000 Norwegian regulations” is a dream we can only aspire to as full members of the EU. Of course most of the laws that do apply to Norway are no longer made by the EU in any case and Norway sits in its own right at the real tables making those laws. @ Ken Adams: membership of EEA or EFTA (of which the UK is already a member) would not return many powers to Westminster. One only has to look at Norway. A report on the effects of EEA membership on Norway (Official Norwegian Reports 2012:2 “Outside and Inside”) proposed that “the stability and welfare in our neighbouring countries has considerable influence on Norwegian politics, the economy and social development”. There were implications for both foreign and domestic policy. In terms of domestic policy the EEA agreements – “in practice – have implications for most sectors of society: economy, business, the labour market and conditions, welfare, health, regional policy, energy, environment, climate change, transport, research, education, food, agriculture, fisheries, alcohol policy, gender equality, consumer protection, civil emergency preparedness, border controls, immigration, police cooperation, security and defence policy, and much more”. “All 17 ministries work with EU/EEA matters .. all 429 municipalities … EU law has been incorporated to some extent into around 170 of a total of 800 Norwegian statutes and approximately 1,000 Norwegian regulations”. I don’t see much protection of Norwegian sovereignty there. But that raises a further issue. The EU is about sharing sovereignty not giving it away, or having it taken away. Agree with Ken. The out campaign should be pursuing the EFTA/EEA route. We want the ability to make our own choices and decisions when the national interest requires it. Free movement (with some amendments to “welfarism”) should be preserved. The main opposition to the EU is the political side, we object to the ever closer union and need to define a different end point than as a subsidiary state in the United States of Europe. I do not think free movement will be affected as we will want to protect our trade with access to the Single Market which does not require membership of the EU but does demand free movement, hence I do not see a need for concern about your ex pat status. It suits the pro-argument to conflate access to the single market with membership of the EU but the two are different, we can reach an accommodation as probably membership of the EEA and EFTA. That would protect our sovereignty and return government powers to the Westminster without disturbing either our trade or free movement. As my name suggests, I’m English and I live in France. I too am likely to be unable to vote (unless it’s the UK general Election rules and it happens before 01/06/2016). I’m now starting the very long process towards French citizenship. But what will happen to my pensions if the UK leaves the EU? Perhaps you should campaign for special EU citizenship status for ex-pats in the event of a UK withdrawal? Same here, Jon. Living and working in Berlin and hoping that by the time the UK pulls out I’ll have been here long enough to remain, despite losing EU citizenship. I also am worried by this I am a british national and have been living in france for 25 years , I doubt if I will be given the right to vote in this referendum , if Britain votes out … where will I go , I remember how hard it was being sans papiers before Schengen , it was very hard to get a carte de sejour , I am a lot older now and partially handicapped , Europe has been good to me , but if britain leaves I will be homeless and penniless , I cannot go back to the uk because I simply have nowhere to go !! I am very much tempted to go and campaign in the UK with the message “Let us build a federal Europe together”, whatever the pro-EU campaign may think about it. It is useless to keep the UK in the Union if there is such a huge misunderstanging about the nature of the European project. I would rather have the British people well-informed and out than badly informed and in.